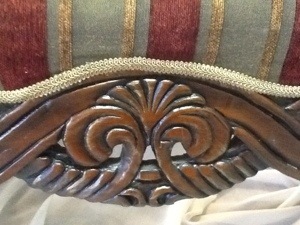 Upholstered bench | Interior Images Ltd.
A pretty, upholstered bench is a nice solution for a large, long room. It provides the seating to complete a conversation area, but does not seal it from the rest of the room, as it has no back. The occupants of this versatile piece of furniture can face either way with ease. 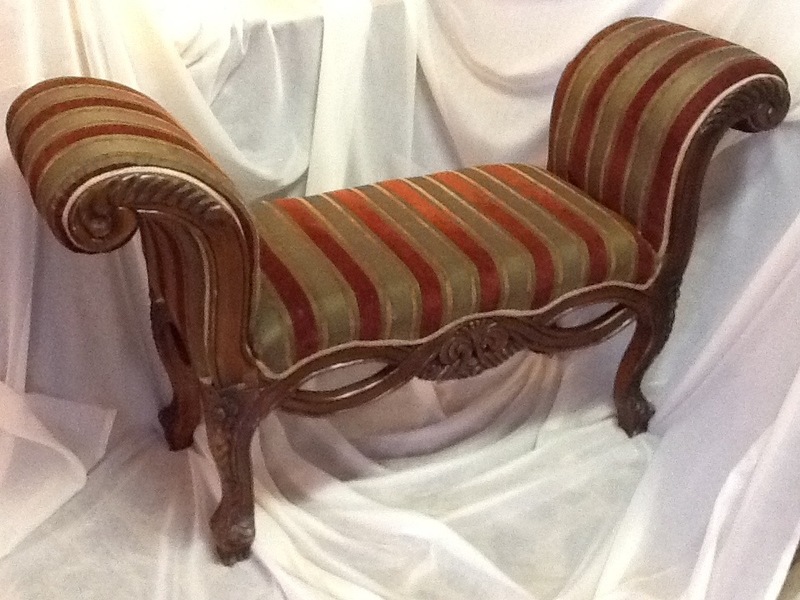 This particular bench is upholstered with a classy striped fabric that curls about the curved arms and sets off the carved wood quite nicely. It is wide enough for two but one would not look lonely. The starting price is $300.